Sometimes you need to complement your morning perk-up with something sweet. 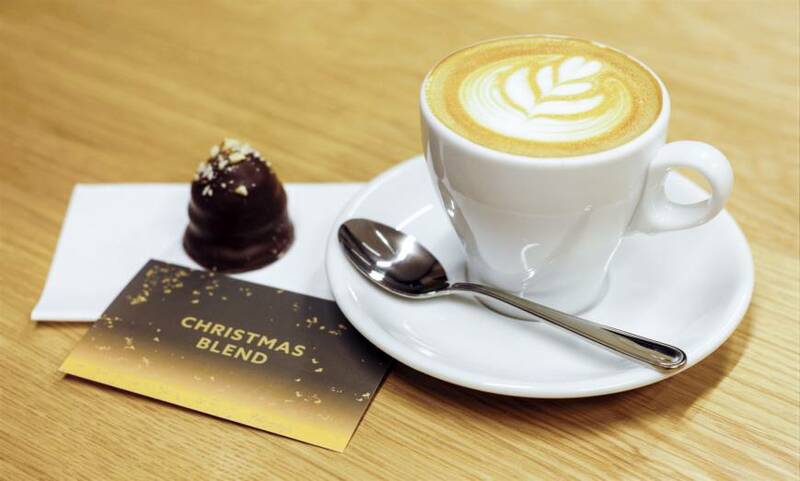 Allpress Espresso’s Tokyo Roastery in Kiyosumi-Shirakawa has devised just such a pairing in time for the holidays. 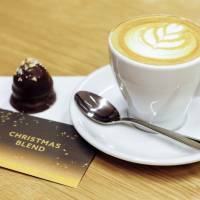 Until New Year’s Day, the store offers a special Christmas Blend flat white coffee paired with chocolate from Danish-born, Aoyama-based Summerbird Organic, for ¥750. The coffee on its own is quite tasty. The blend — which you can also purchase to take home, 250 grams for ¥1,800 — features a subtle sweetness alongside accents of berries, making for a refreshing cup of coffee. It’s worth it on its own. But it also works well — and warrants inclusion in this column — when paired with the special Summerbird Organic Cream Kiss pieces of chocolate available at the roastery. This one mixes chocolate with cream, the end result being an immediately sweet eating experience. On its own, it is a little overboard on the sugar, but a sip of coffee right after helps bring it down to something more manageable. It’s worth trying, though the coffee really wins the holidays.